After Apple released the iPhone X last year, a notch in your display has become the hottest trend of 2018. Basically every Chinese manufacturer, from ASUS (okay, ASUS is from Taiwan) to OPPO has a notch in their 2018 smartphone display, and we expect more to come. Huawei is no exception, with both the P20 and the P20 Pro having a small notch at the top. 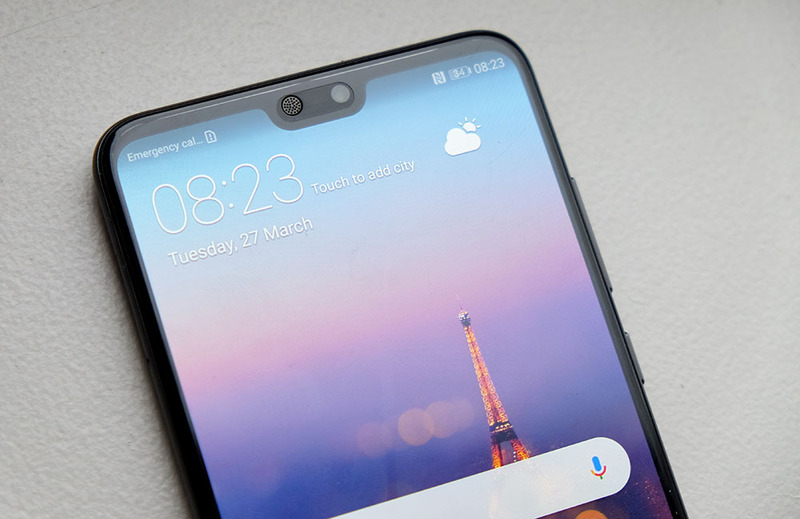 Fortunately, if you're not a fan of notches, there's actually an option to hide it - which really just turns the sides of the notch dark so it's not as obvious. The phones aren't really full-screen either, as Huawei has opted to leave the fingerprint scanner/home button below the display. With the notch 'hidden', the phones looks more symmetrical, and look a lot more like a Samsung Galaxy S9. The P20 has a 5.8-inch 18.5:9 aspect ratio 2240 x 1080 pixels resolution (~428ppi) LCD display, while the P20 Pro has a 6.1-inch 18.5:9 aspect ratio 2240 x 1080 pixels resolution (~408ppi) OLED display. Side-by-side, they actually don't look that different and the Pro is only slightly bigger. 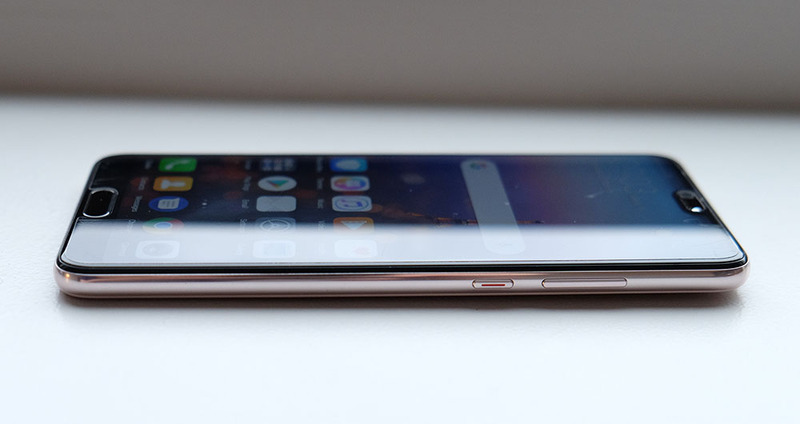 The P20 measures 78 x 149.1 x 7.62mm and weighs 165g, while the P20 Pro measures 73.9 x 155 x 7.8mm and weighs 180g, which makes them both thinner and lighter than your average flagship smartphone. For comparison, the Samsung Galaxy S9 is 8.5mm thick and weighs 163g, while the iPhone X is 7.7mm thick and weighs 174g. Design-wise, there's nothing too radical here, you get an aluminum frame with contoured 3D glass on the back, much like many other phones out there. Huawei says that both the front and back glass have oleophobic coatings, but that doesn't seem to help much against fingerprints. To be fair, the black model I've got is particularly bad, but the other colors seem to hide fingerprints a bit better. Under the glass there's a metallic, high gloss finish with a mirror-like shine. Both phones will be available in four colors: Twilight, Black, Midnight Blue and Pink Gold. The aluminum frame is matte black on the Black model, but is shiny on the other colors. The frames on Twilight and Midnight Blue are color matched, but on Pink Gold you get a silver frame. Twilight is probably the most interesting color, due to its color gradient that changes from purple at the top to blue at the bottom. Pink Gold also has a gradient, and is pink at the top and gold at the bottom, but it's a little too unicorny for my taste. For some reason, despite sharing the same design, only the P20 Pro has an IP67 dust and water resistant rating. It's also worth noting that while the phones have glass backs, neither phone supports wireless charging. The fingerprint scanner/home button below the screen also doubles up as a navigation sensor. Unlike most Android phones, there are no capacitive buttons on either side of the home button. Instead, you press the home button to return to the previous screen, or long press it to return to the home screen. You can swipe the home button to view the recent apps screen. Personally, I feel like it would be more intuitive to have swipe be the back button, and long press to view recent apps, but unfortunately there's no option to customize the navigation sensor. If you can't get used to it, there's also an option for on screen buttons in the standard Android layout. If you don't want to use the fingerprint scanner, both phones also include a Face Unlock feature. 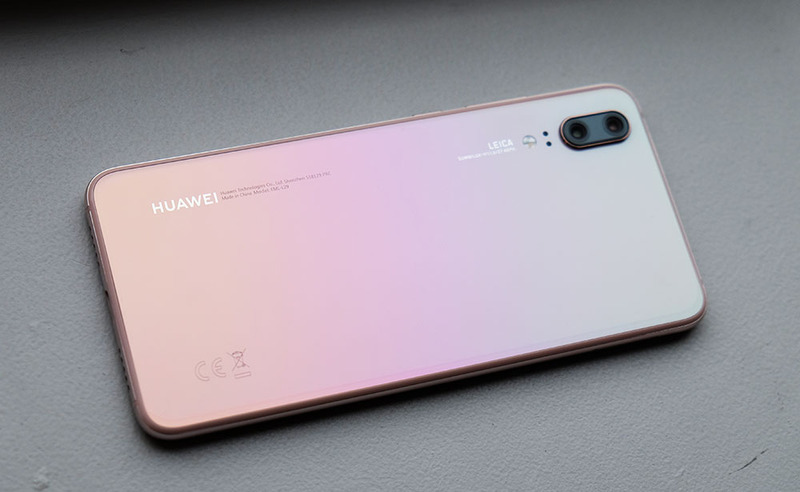 Huawei says this will work in the dark, but as the feature doesn't use an IR beam (like the iPhone X) I'm not too sure about this. 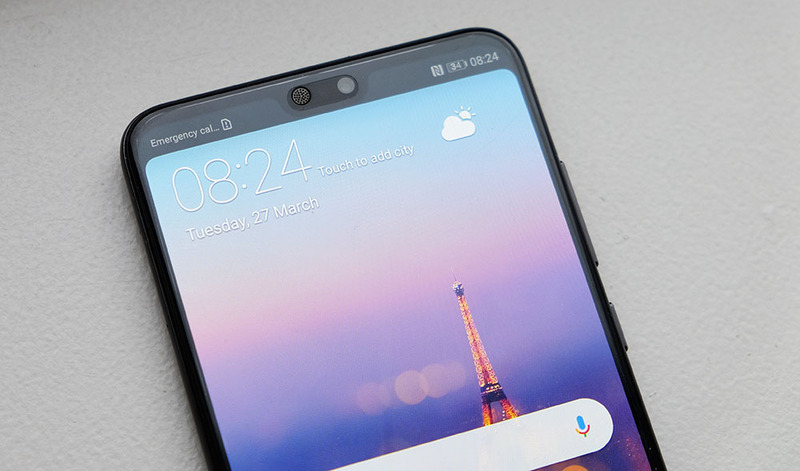 Huawei says the phone's display will provide enough light to activate Face Unlock, but that's not really the same thing. 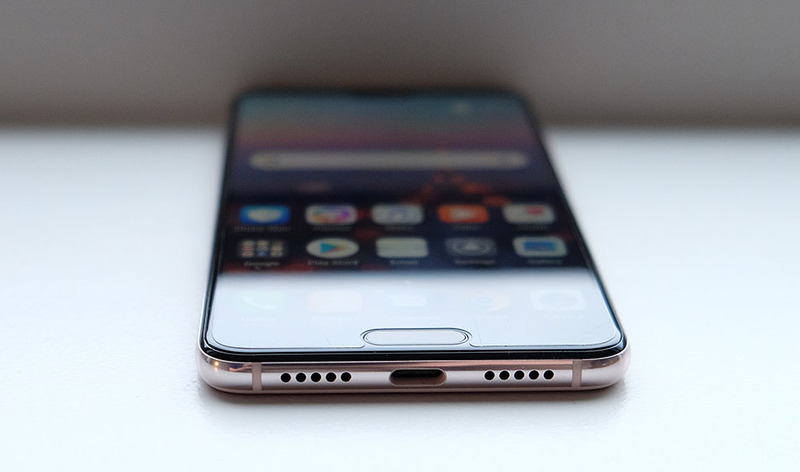 On the bottom of the phone there's a USB Type-C port, flanked by two speaker grilles - which means, yes, neither phone has a 3.5mm headphone jack (a dongle is included in the box). Like the iPhone, only the right speaker grille is functional, however, the phones do actually have stereo speakers, with the microphone in the notch doubling up as the second speaker. Both the power button and volume rocker can be found on the right-side, while the dual nano-SIM card tray is on the left. 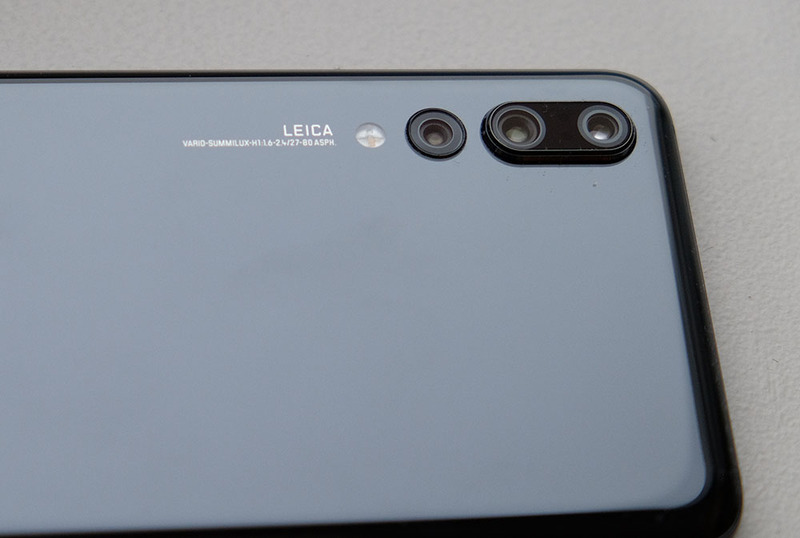 Unfortunately, like the Mate 10, Huawei has removed the micro SD card slot from the P20 and P20 Pro, so you're stuck with the 128GB internal storage. 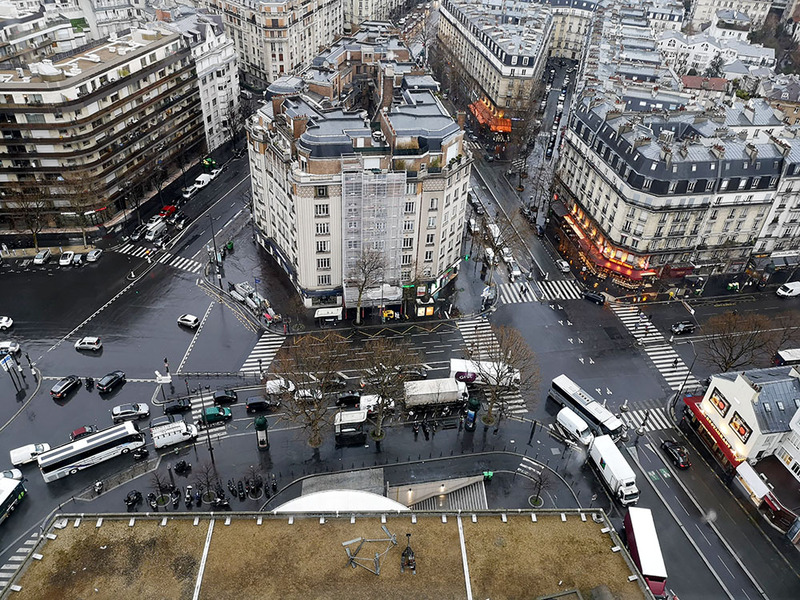 Huawei's cameras have been pretty good ever since they partnered with Leica, but the P20 Pro camera takes it to another level. The Leica-designed Vario-Summilux camera setup boasts three lenses: a 40-megapixel F1.8 RGB lens, a 20-megapixel F1.6 monochrome lens, and an F2.4 8-megapixel telephoto lens with 3x optical zoom. These lenses are paired with a large 1/1.7-inch sensor that offers up to an incredible 102,400 ISO (although how usable this is remains to be seen). 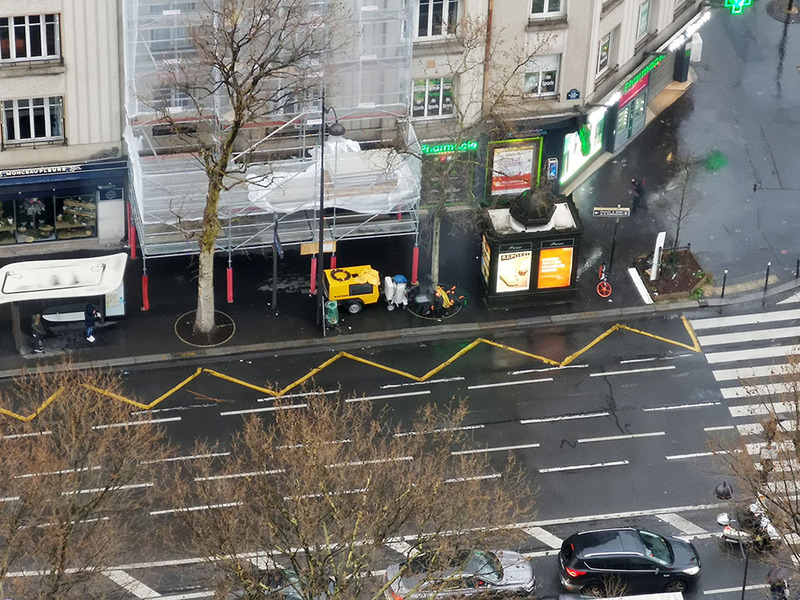 The cameras are vertically aligned (which also seems to be a new trend started by Apple), with the RGB and telephoto lens grouped together, and the monochrome lens isolated below it. Why is the monochrome lens off on its own? 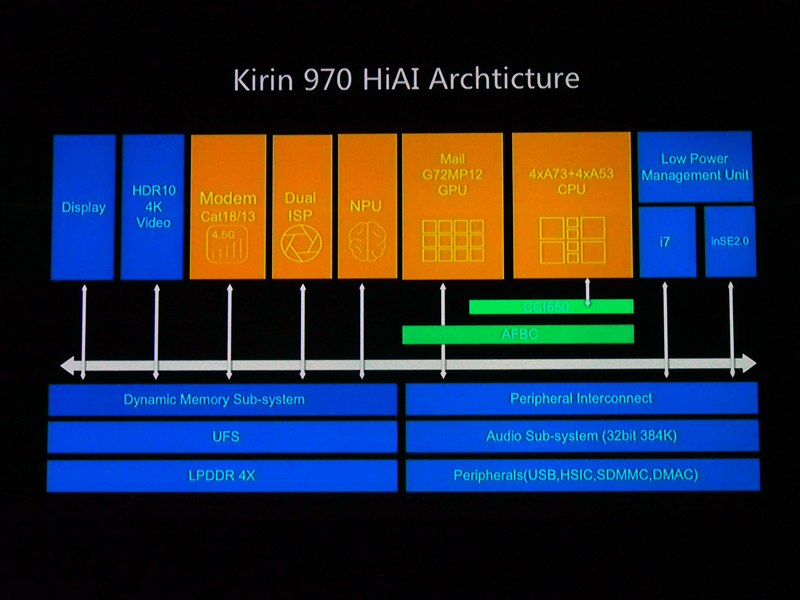 According to Huawei, it's just aesthetics - apparently having three lens on one module wouldn't look as nice. Additionally, it's worth noting that the monochrome lens sits almost flush with the back of the phone, while the RGB/telephoto module sit on a massive camera bump. For the regular P20, it has a dual camera setup pairing a 12-megapixel RGB lens with a 20-megapixel monochrome lens. Huawei has also improved on the AI features we first saw in the Mate 10 Pro. Most of these are aimed at making the camera smarter and easier to use. For example, if you're taking a portrait shot of someone, the camera will recognize it and automatically switch to Portrait mode. The AI can also assist with photo composition, so for example, if you're taking a group shot, it will recognize that and provide a framing window you should try to fit everyone into. Both the P20 and P20 Pro can also shoot slow-motion footage at 960fps at 720p. One new feature I'm very excited about but haven't had a chance to test yet is the handheld long exposure mode. 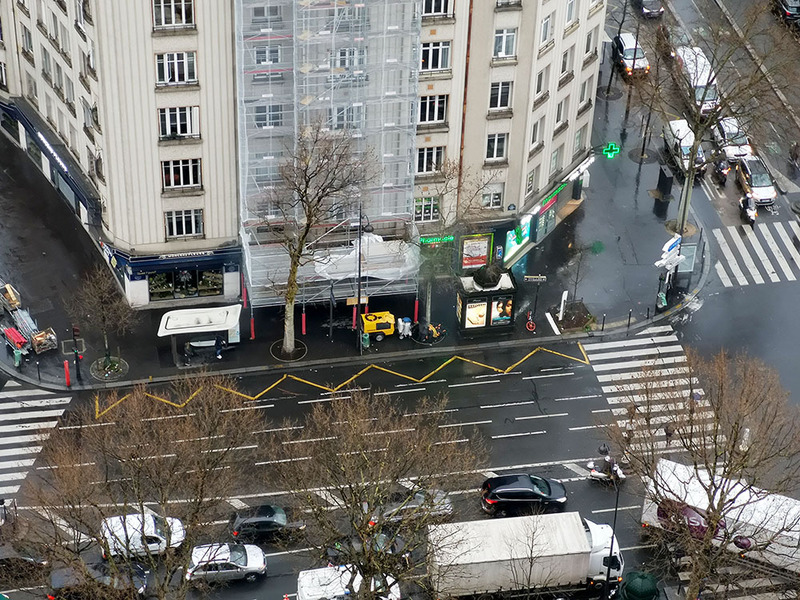 Generally speaking, you need a tripod to do any kind of long exposure photography, but the P20 and P20 Pro have a new mode that mimics a 4-second long exposure shot by using AI to combine multiple shots together. Basically, you hold the camera steady and every time you move slightly it will take a shot to compensate. The other advantage of this technique is that, like HDR photography, when it stitches together the composite shot, it can retain highlights while still brightening up dark areas. I'll update this hands-on when I've had a chance to test this feature for myself. Benchmark performance on the Mate 10 Pro was decent, but not class-leading, and was roughly on par with the Qualcomm Snapdragon 835. It remains to be seen how much more powerful the new Snapdragon 845 will be, but even then, the P20 and P20 Pro should still be more than sufficient for most tasks. Huawei usually performs quite well when it comes to battery life and we expect the P20 and P20 Pro to be no different. The P20 has a 3400mAh battery, while the P20 Pro is armed with a huge 4000mAh unit. The Pro is likely to perform much better (not just because of its bigger battery) thanks to its more power-efficient OLED display. Both the P20 and P20 Pro will be available in April. 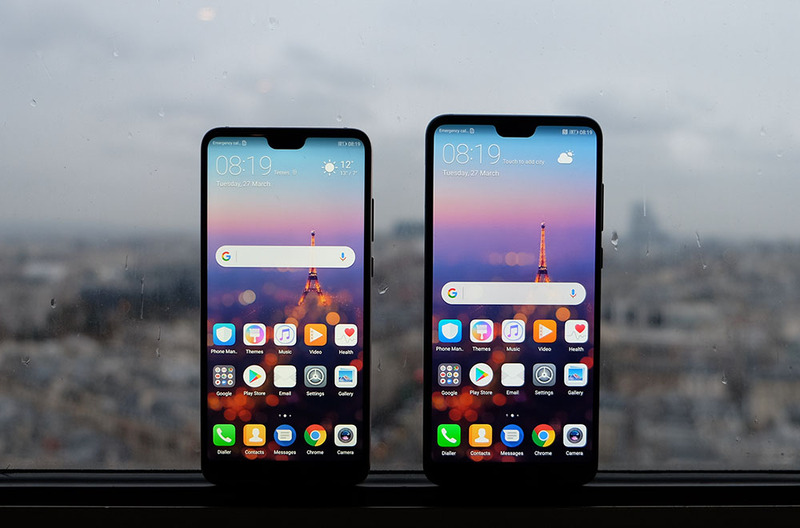 In Europe, the P20 is priced at EUR 649 (PhP 42,000), while the P20 Pro costs EUR 899 (PhP 58,000). Local pricing and pre-order details will be announced soon.